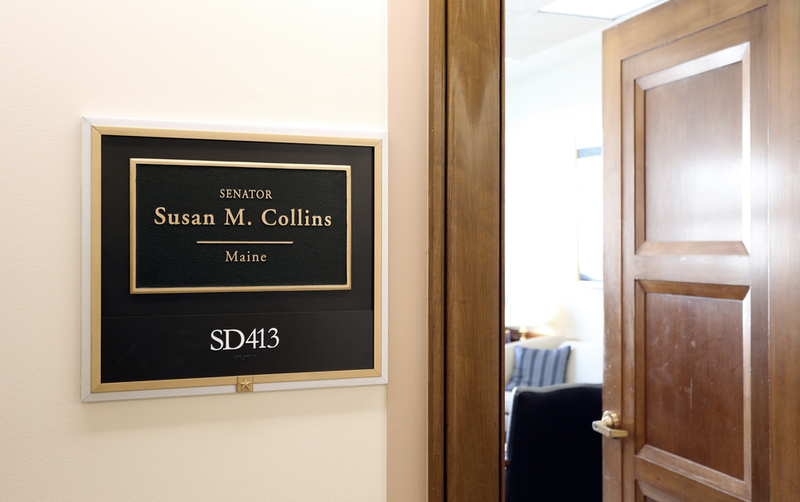 What the hell, Susan Collins? You have said that you do not believe Dr. Christine Blasey Ford’s allegations of sexual assault were false, which begs the question: Just what do you believe? It seems you believe that evidence (gathered in a rushed, limited FBI investigation) does not exist to block Judge Brett Kavanaugh’s appointment to the Supreme Court. Apparently, you also believe that Kavanaugh, despite (or perhaps because of?) his rage-filled accusation that the political left has engendered “a calculated and orchestrated political hit, fueled with apparent pent-up anger about President Trump,” is an excellent candidate for a lifetime appointment to the Supreme Court—a position that demands, in theory at least, that its members be nonpartisan in their decision making. Ms. Collins, consider this: if you, or Dr. Ford, or any of your esteemed female colleagues in Congress behaved as Kavanaugh did during his testimony to members of the Senate Judiciary Committee on September 27, you’d be deemed hysterical—or worse. But in the “boys will be boys” network characterized by our current administration, such antics get a pass not only from the boys but also from you. But do you really believe that about Trump? If so, why is it that during your announcement of your support for Kavanaugh, when you were finding fault with the “special interest groups” who opposed his nomination, you did not find fault with a president who, at a political rally following Kavanaugh’s testimony, mocked Ford and her testimony to accompanying jeers? Why didn’t you call out a president who tweeted that the assault could not have been “as bad as she says”? In your hopeful description of Kavanaugh as centrist, you apparently really believe that Kavanaugh “will work to lessen the divisions in the Supreme Court.” It’s unclear what part of his angry, partisan testimony inspired this wishful thinking on your part. What do you believe, Susan Collins? For shame.